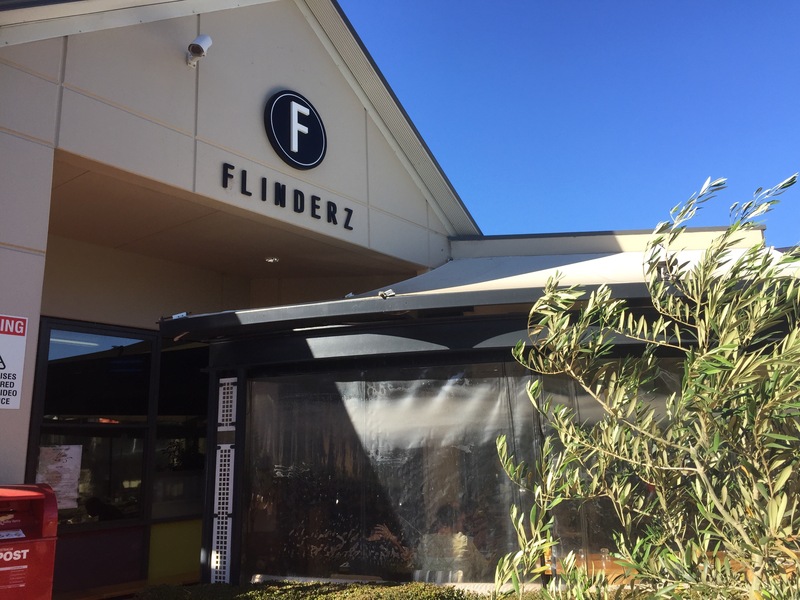 You’ll find Flinderz in an odd location in Hillarys, tucked off the street and inside a shopping complex. We found our way there by following the stream of cyclists heading for their morning coffee. The building has an interesting facade, curved, allowing for plenty of outside space and tables. There were many tables reserved for a weekend morning but we still got a seat outside. The atmosphere is surprisingly pleasant for being so close to the supermarkets, the wait for our friends was peaceful in the morning sunshine and the staff were prompt in servicing our table. 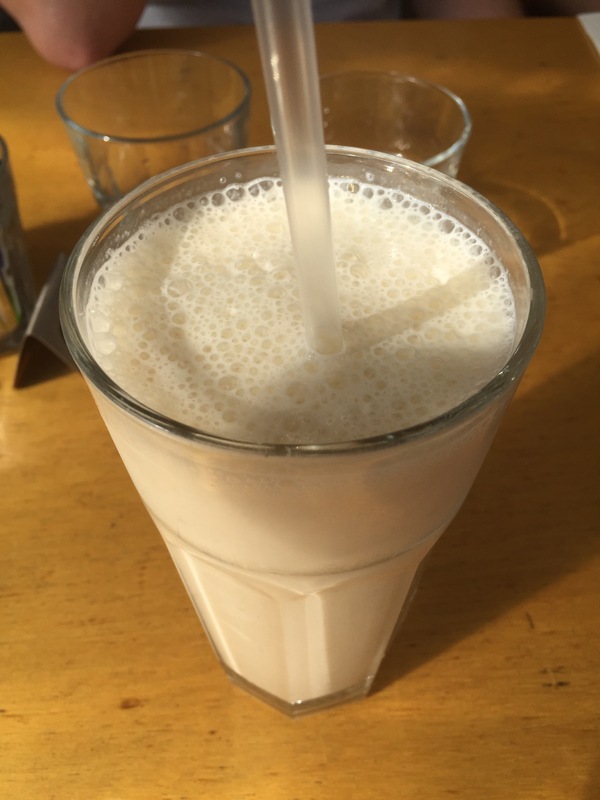 We decided to give their monkey nut smoothie a try. It was a delicious mix of banana, honey and macadamia and was nicely sweet and creamy. Unsurprisingly with a name like ‘Monkey Nut’ the banana was the most prominent flavour! 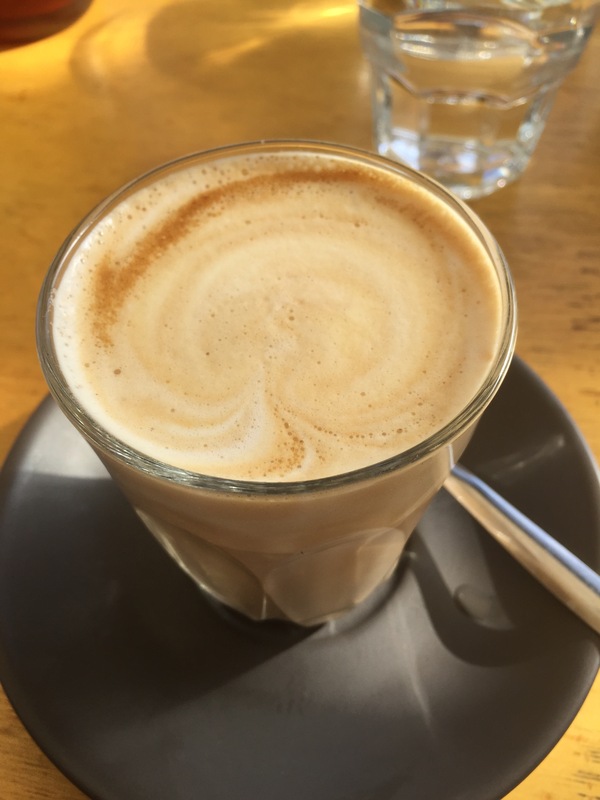 As well as treating ourselves to a smoothie we also went for some Lattes. Honestly their coffee was nothing special, a bit over extracted and I can’t say we were satisfied with them. 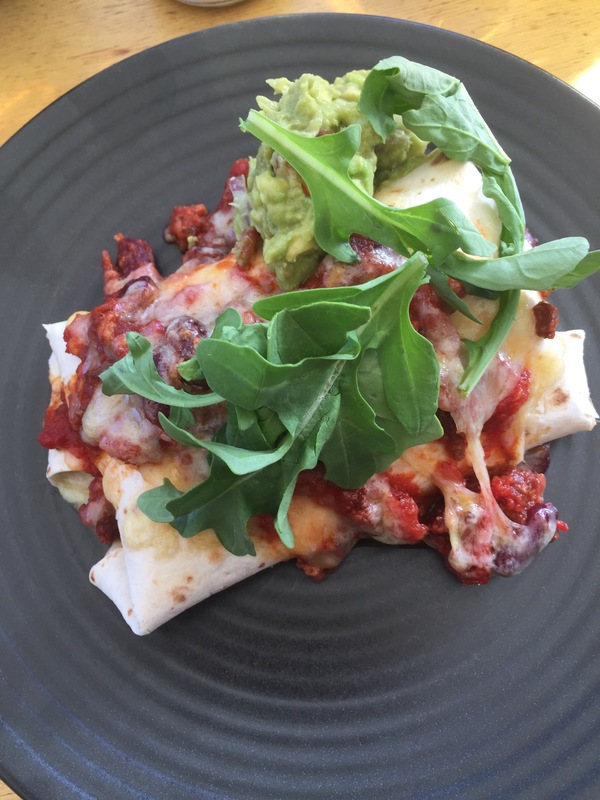 Our first dish was an enchilada which contained rice as well as a chorizo ragu making it a bit of a fusion of Mexican and Italian. There was a large amount of rice in the enchilada, as well as scrambled eggs and guacamole. The flavours were simple but worked well together but there could have been more complexity to it. If you’re a fan of Mexican breakfasts you will enjoy it nonetheless. 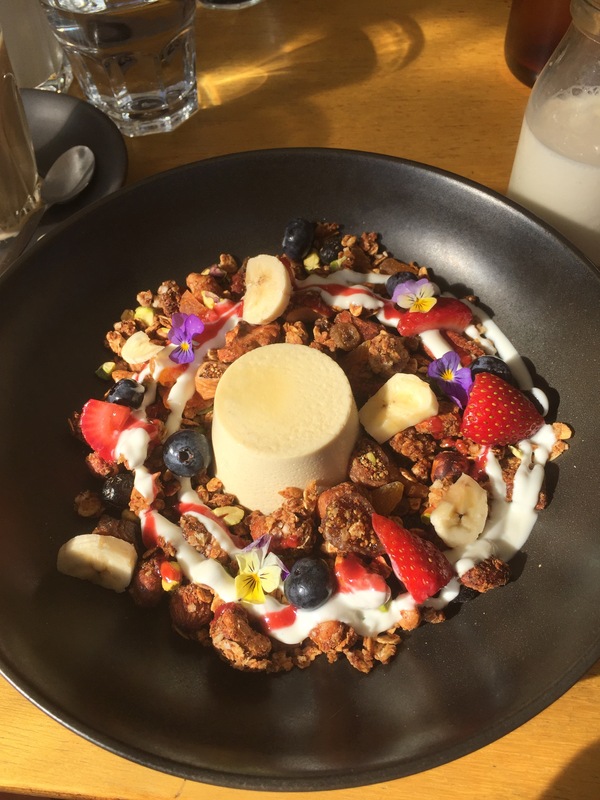 The prettiest dish of the day was the granola served with a banana panna cotta. This was a very nutty and chewy dish, served with a creamy, honey Jersey milk to pour over. The panna cotta had a satisfying wobble, though we would have liked a stronger banana flavour. This was just a beautiful and delicate breakfast dish, reminiscent of those we’ve tried at Mrs S and we would certainly order it again! 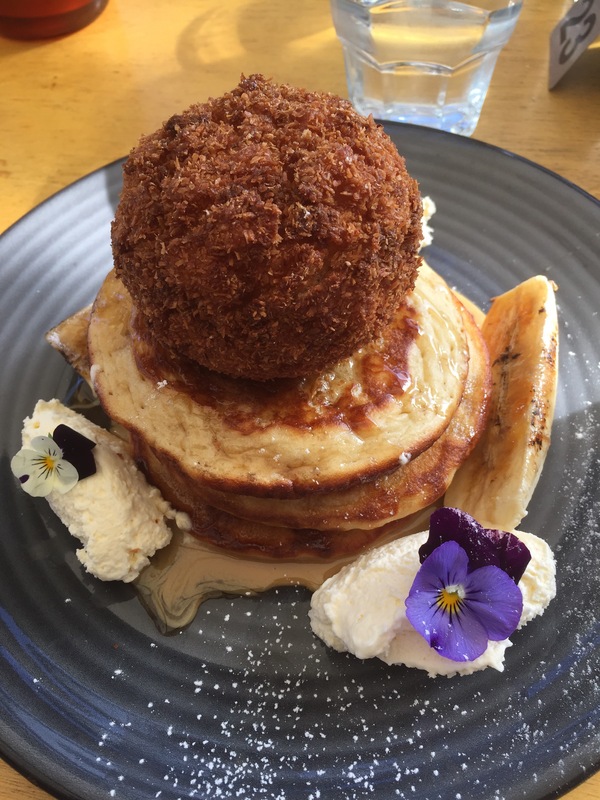 We come now to one of the more unique breakfast dishes we’ve tried in Perth, the banoffee pancakes! These weren’t just any pancakes though, they were served with fried ice cream atop hot and fresh pancakes and surrounded by toffee, caramel, banana, cream and edible flowers. The pancakes were perfectly executed, a golden brown with a light and fluffy centre. The deep fried ice cream is an Asian delight, ice cream fried in the centre of a coconut crumb, hot on the outside and frozen cold in the centre. It was wonderfully done but did take over the dish, not just through its planetary size but also in its texture and flavour. More toffee would really have helped balance out the coconut fry, but then we could always, always do with more caramel. The serve is huge in the end but it’s so moreish you keep eating. It’s well worth trying for those fond of sweet and unusual breakfast delights. 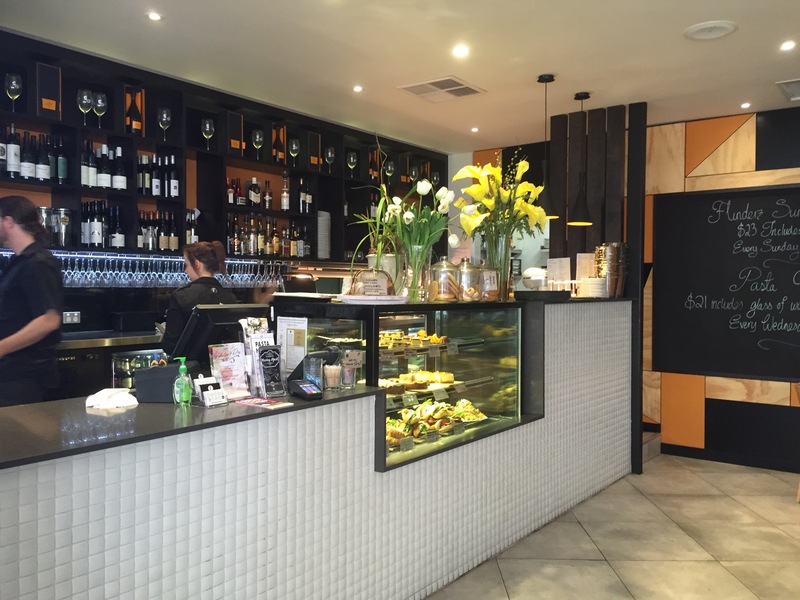 Flinderz is well worth a visit in the Northern end of town and is an unexpected haven in the suburbs.